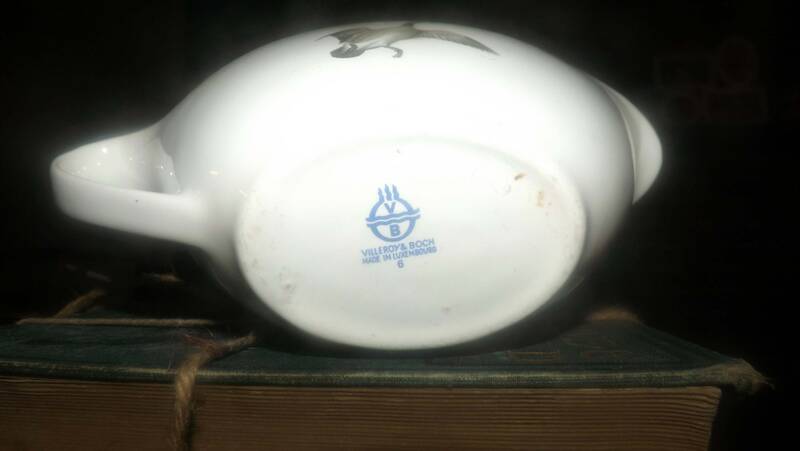 Vintage (1980s) Villeroy & Boch VIL10 gravy boat. Game birds and water foul. 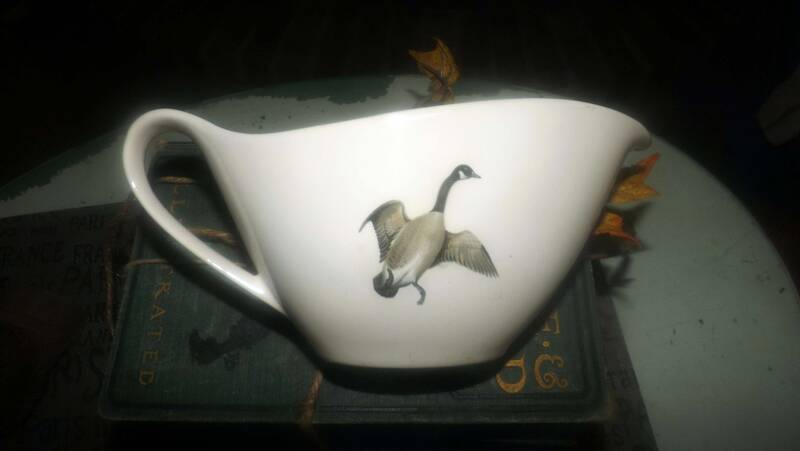 Retired pattern, hard to find. 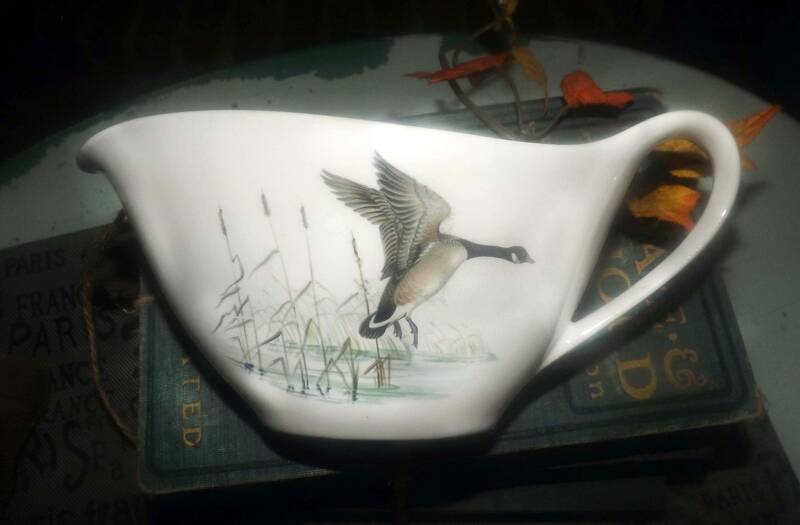 Vintage (late 1980s) Villeroy & Boch VIL10 pattern gravy boat featuring wild game birds and water foul. Made in Luxembourg, VIL10 has been retired for many years is now quite hard to find. In EXCELLENT! 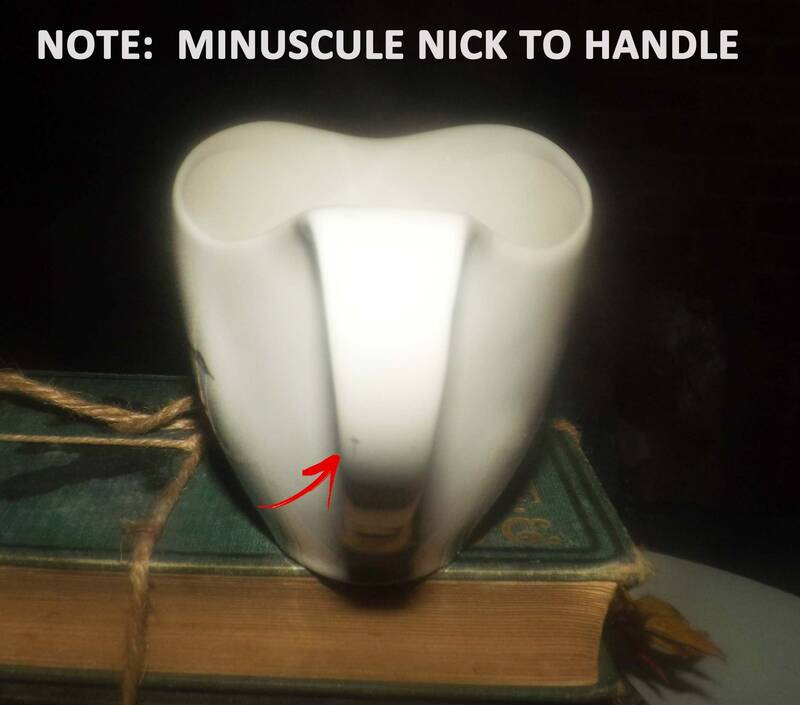 condition, there is a truly minuscule nick to the handle at the back (please review each of the posted photos for a complete visual of the item). Otherwise, there are NO! chips, nicks, or fleabites, NO! cracks, LITTLE TO NO! crazing and NO! marks or stains. The game bird imagery is bright and vivid with NO! 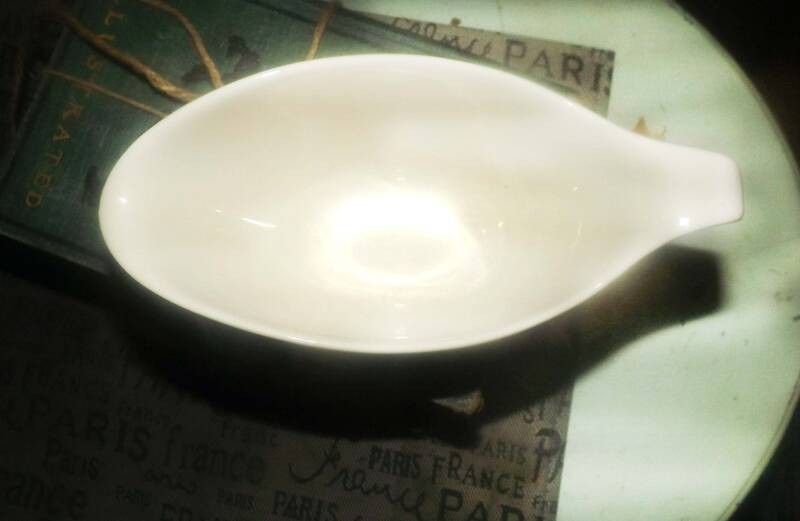 fading apparent and the inside bowl of the boat is clean as a whistle. 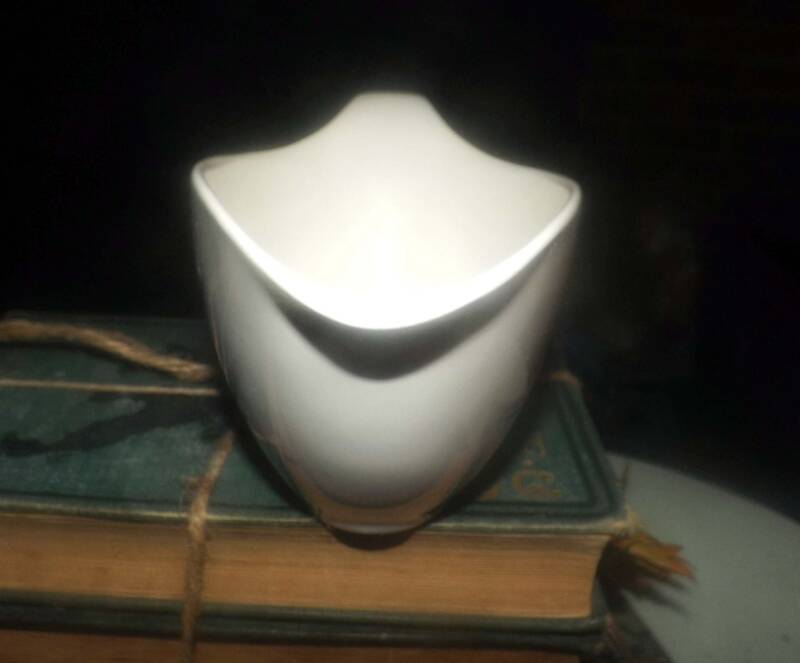 Approximate measurements: 7-1/2" L x 3-1/2" H x 3-1/2" D.